Introducing Sabrina Justison’s Cinema Studies for Literature Learning curriculum, a full-year high school course for literature learning using the medium of movies! 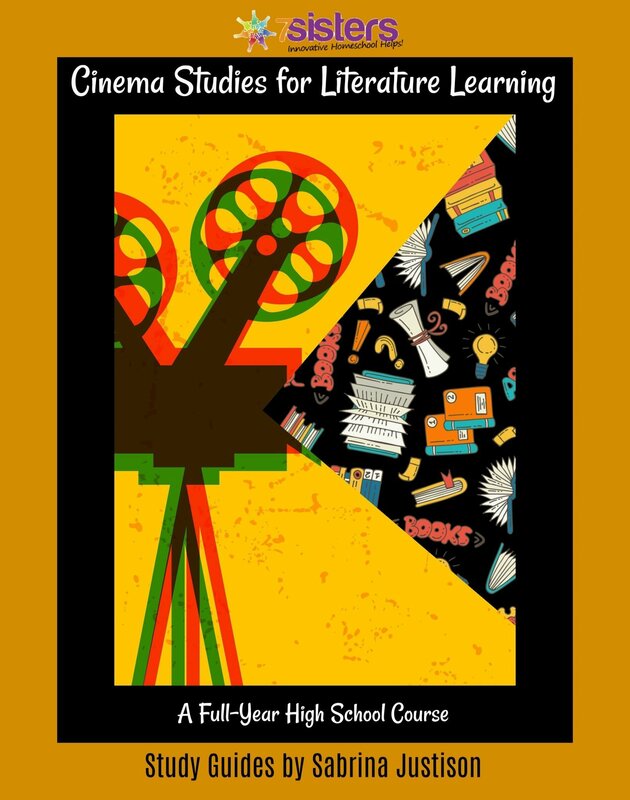 Cinema Studies for Literature Learning curriculum is geared to the visual learner in high school, to those who are reluctant readers or for whom reading is very time-consuming, and to those who love movies! Good movies tell good stories, and good storytelling requires the use of traditionally respected literary devices and techniques. With a little help from a study guide, many movies introduce the viewer to excellent literature that is being presented in a visual medium. This product downloads as separate PDF files for each cinema study guide included. One set of files is intended for student use. These documents contains fillable fields so students can type their answers directly into the guide. The other set of files are the answer keys, intended for the parent. You can click to view an excerpt from each of the included guides when you view their individual product descriptions. Click a title above, or navigate here to choose the individual title you would like to explore! Each title includes an excerpt you can view near the bottom of the guide’s description. Cinema Studies for Literature Learning curriculum explores the important IDEAS of story-telling and the power stories have to shape individuals, groups of people, and even entire cultures using the visual medium of movies…all while earning Level 2 Average credit in literature toward the core English/Language Arts credit that must be recorded on the transcript each year in high school.